For a true successor to the Integra and RSX, Acura needs a car that is affordable, available as both a sedan and coupe, and should have a high performance version in the same vein as the Integra GS-R and RSX Type-S. With the refreshed ILX, Acura is on the right track. Using the Civic coupe, Acura could potentially build an ILX coupe with the same drivetrain and technology. With an ILX available as a coupe, Acura would have a vehicle that no other luxury manufacturer would have: a sub $30k entry level coupe. However, most of the luxury manufacturers have high performance versions of their entry level luxury cars, and Acura needs to build one too. Just as the RSX had a Type-S performance version available, the ILX needs one as well. Both the Integra GS-R and RSX Type-S were equipped with higher tuned versions of their base engines. Unfortunately, it seems as if Honda will not be able to squeeze much more additional performance out of the ILX's new 2.4 liter engine without some kind of forced induction. But rather than just attaching a turbocharger to the K24W, Honda already has a 2.0-liter turbocharged engine that is nearly ready to use which can be found in the up and coming Civic Type-R. Supposedly clocking in somewhere in the neighborhood of 280 to 300 horsepower, this is the engine Acura needs in the ILX for it to compete against cars like the Audi S3. All that power being put down to the front wheels though would be suicide. I am not even sure Acura's all wheel steer system, Precision All Wheel Steer (P-AWS) could save it from becoming an handling disaster. Obviously a high performance, turbocharged ILX will need Acura's Super Handling All Wheel Drive (SH-AWD) system, assuming it would fit in the car. Not only does a performance ILX need SH-AWD and a turbocharged engine, it should come with the necessary performance parts as well. We are talking about big brakes with at least four piston calipers, an adjustable suspension, a body kit to give it an aggressive look, and sporty interior to match its performance and looks. Acura could have a real Integra and RSX successor with the ILX. As long as they can continue to make it affordable and draw in younger crowds like the Integra and RSX did, the ILX can potentially become a sales hit instead of the sales flop it currently is. Having owned an Integra back in the day, the hallmarks of what made it such a fantastic car were the light weight, direct steering, and excellent chassis tuning. Unfortunately, modern Acuras have strayed so far from this formula that it is hard to imagine how they could get back to that. While the ILX, which has managed to weigh in under 3,000 lbs, is a good place to start, a lot of modifications are needed to make for a proper Integra successor. To start, the new direct-injection 2.4-liter engine that Acura has introduced in the TLX and is slated to make an appearance in the 2016 ILX refresh is running such a low compression for a direct-injection motor that it is downright comical. Bumping the compression up to around 13.0:1, which is what most other naturally aspirated direct compression motors are running at, and raising the rev limit to allow a 7,250 rpm redline would likely inject a huge dose of sportiness to the motor without giving up too much in terms of fuel economy. Anticipate around 225 horsepower and around 190 lb-ft of torque, which is better than any Integra that ever left a Honda factory. Performance will be spritely, but not mind-blowing, which is in line with what made the Integra such a wonderful car to begin with. Next, lift the electronic power steering setup from the Honda S2000 and adapt it to the ILX. Since EPS is needed to help achieve the fuel economy ratings that Acura is shooting for, it makes sense to at least borrow from one of the greatest sports cars that Honda has ever produced. Chassis tuning should be focused on providing a stiff, but well-controlled and well-damped ride that has little to no body roll and corners nearly flat. To help the suspension, Acura would also need to keep the weight down so a target of 2,700 lbs should be set. This reduced weight means the same kind of performance can be achieved with lighter components, contributing further to keeping the weight down. Plus, less weight to transition in the corners will help make the car feel more nimble and perform better. 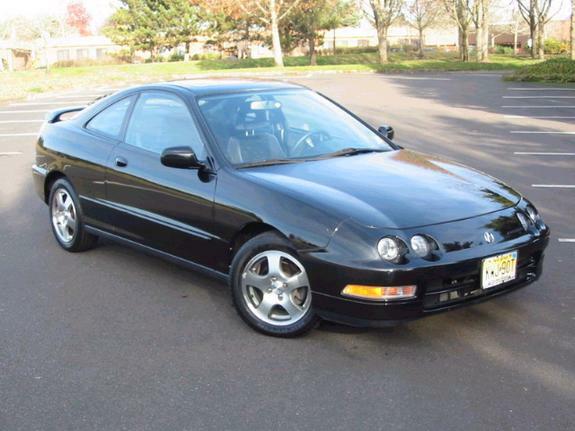 The presence of some form of automatic seems inevitable in order to get the car to sell with any volume, so the 8DCT should be carried over, but a 6-speed manual transmission is an absolute must since that was an integral part of Integra ownership. Carrying over the unit from the Accord Sport seems like it would not be all that difficult to achieve and the addition of a limited slip differential almost seems mandatory. Of course, this is a car that will appear to a particular audience and the need to amortize its development over the life of an existing model is important. That means the chassis will need to be shared with the ILX, which ensures there will be no return to a double-wishbone front suspension setup. Such sacrifices are sometimes necessary in order to bring a fun car to market. However, perhaps making the "Integra" a trim level or variant of the ILX will allow the added expense to be justified while keeping the spirit of simplicity and fun to drive that was the Integras hallmark.. It will also bring back many of the enthusiasts who fondly recall their period of ownership of an Integra or RSX. Nostalgia sales will only carry a car so much, but by providing a serious trim level with slightly reduced content but greater performance, Acura might still be able to salvage its performance image. It might be catering to an older, more mature audience these days, but that does not mean people do not want to have a little fun.